Last week a CSX freight train traveling through the center of Baltimore derailed just before entering the Howard Street Tunnel. By the time the train came to a halt, several of the derailed rail cars, including a tanker car carrying acetone, had skidded into the entrance of the tunnel and cracked open. Just a few weeks ago, another CSX train going through northeast Washington derailed and spilled sodium hydroxide, calcium chloride and ethanol. The derailment took place within view of the U.S. Capitol and brought Metro’s Red Line service to a stop for several days. Fortunately no one was injured in the two latest incidents, but they highlight the danger of a potentially catastrophic derailment in a major metropolitan area, particularly if the train were carrying oil or other highly flammable products. This danger is not theoretical. Three years ago, a runaway oil train derailed in the Canadian town of Lac-Mégantic, leading to an inferno that devastated many square blocks and killed 47 people. Although Maryland has been spared such an occurrence, it may only be a matter of time as every train entering the state carrying dangerous materials potentially increases the risk of a damaging incident. I believe that reasonable measures can be undertaken to greatly improve public awareness and government planning to address these concerns. One easy step is disclosure of the rail routes that carry dangerous cargo. Disappointingly, the freight railroads have opposed the disclosure of these types of trains, their frequency and routes, and the volume of the cargo citing security concerns. This argument fails to stand up to the reality that any individual can stand near railroad tracks and count the number of tanker cars passing by. In fact, a Maryland court recently ruled in favor of disclosure following a lawsuit filed by a rail company to block the sharing of this information. Preventing a derailment should be a primary focus of local governments because the spillage of even small amounts of hazardous materials could lead to catastrophic results, particularly in built-up areas. In 2005, the release of 60 tons of chlorine gas from a tanker car led to eight deaths and the evacuation of 5,400 residents in South Carolina. In such instances, the only viable option of the first responders is to evacuate the area and allow the dangerous substances to diffuse, dilute or combust. With such limited options, prevention becomes crucial. Preventing a derailment requires a multi-pronged approach, and that’s why I sponsored a bill entitled the Rail Safety Act of 2016 earlier this year in Annapolis. 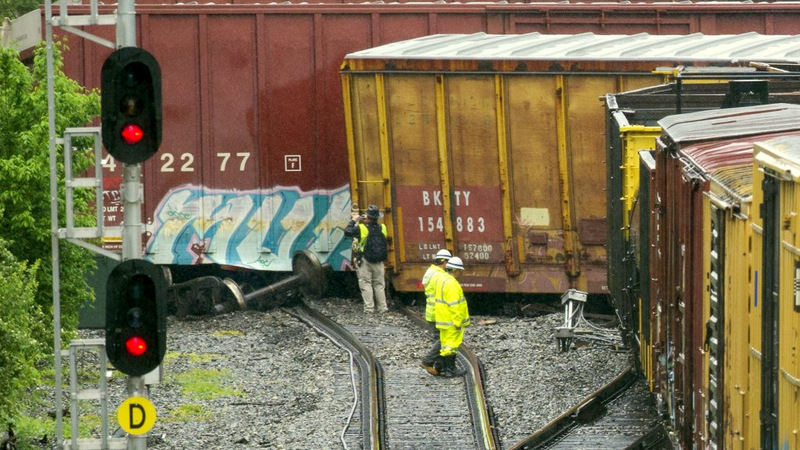 This bill would have supported the hiring of additional state rail car inspectors, required trains with greater than 100 cars to have multiple engineers, and reduced at-grade roadway crossings, which are a frequent site of train accidents. Bolstering the capability of first responders is an essential component of addressing incidents that fail to be prevented. Thus, the Rail Safety Act called on railroad operators to prepare and submit comprehensive response plans and to certify their ability to cover financial liability in the event of a disaster. The challenges of protecting our communities from the risks of hazardous materials moving by rail are complex and require a comprehensive approach. While the federal government has primary jurisdiction over interstate transportation, railroads and the communities they pass through can do more. Rail companies can continually improve safety and work with customers to ensure the proper upkeep of rail cars. Elected officials and community leaders must persist in advancing disclosure and public awareness so that residents understand the risks of derailments and can provide input into their own safety. The Baltimore City Council now has a bill before it calling on the Health Department, Emergency Management, Fire officials and others to assess the risks of oil shipments to public health and prepare a rigorous response plan. 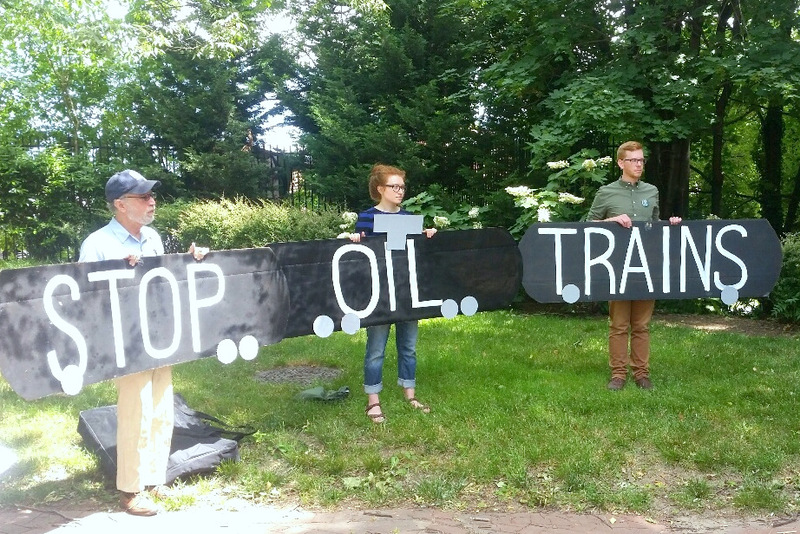 A hearing on oil train hazards should be a matter of priority to Council President Bernard C. “Jack” Young and his colleagues. Only by acting together towards a common purpose can we ensure that a future derailment in the heart of Baltimore or Washington (or Rosedale or Ellicott City) does not become a serious disaster in the future. Del. Clarence K. Lam, an M.D. and Master of Public Health, represents Baltimore and Howard counties in the Maryland General Assembly. He serves on the House Environment and Transportation Committee and can be reached at clarence.lam@house.state.md.us.